DIXON, GEORGE, naval officer and maritime fur-trader; fl. 1776–91. George Dixon, an armourer in the Royal Navy per a warrant dated 16 April 1776, joined the Discovery on the same day. 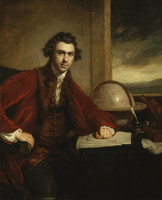 In July he sailed for the Pacific on Captain James Cook’s third voyage of exploration. As an armourer Dixon was a skilled mechanic, with the rating of petty officer first-class, whose duty it was to assist the gunner in keeping the ship’s arms in order. The Discovery was at King George’s Sound (Nootka Sound, B.C.) in March and April 1778 and touched at other places along the northwest coast before returning to England in 1780. The voyage must have fired in Dixon an interest in discovery, for in August 1784 he wrote to Sir Joseph Banks*, the influential president of the Royal Society of London, to suggest the mounting of an overland expedition, with himself as “astronomer,” to cross North America via Quebec and the Great Lakes. Nothing came of this venture, perhaps, as he himself observed, because of the “troubled state” of America. The vessels left London on 29 Aug. 1785 and arrived at Cook Inlet (Alas.) the next July. There they traded with the Indians before sailing to winter in the Sandwich (Hawaiian) Islands. In the spring of 1787 they sailed to Prince William Sound (Alas. ), where they met another British trader, John Meares*, whose ship had been iced in. Meares’s crew was in great disorder, either from scurvy, as he claimed, or from “uncontrolled application to spirituous liquors,” as Beresford later charged. Dixon and Portlock lent aid but exacted from Meares, who was trading illegally within the bounds of the South Sea Company’s monopoly, a bond not to trade on the coast. From Prince William Sound, Dixon, having separated as planned from Portlock, sailed south to trade. He came across a large archipelago, which he named the Queen Charlotte Islands (B.C.). Although Captain Robert Gray*, of the American sloop Lady Washington, was to call these islands after his own ship in 1789, British possession of the coast allowed for the continuance of Dixon’s appellation. Dixon sailed along the western shores of the islands, named Cape St James, and then went up their eastern coasts as far as Skidegate. Along the way he purchased a large number of sea otter pelts from the Haidas, trading at one time with the village of the chief Koyah. Dixon reached Nootka Sound in mid August, only to find that he had been preceded by captains James Colnett* and Charles Duncan, who had obtained most of the furs. Since Portlock failed to appear at Nootka, Dixon steered for the Sandwich Islands and China. He sold his furs there and then returned to England in September 1788. Although there is no record that Dixon was ever again at sea, he retained an interest in the exploration of the northwest coast of America and the search for a northwest passage. 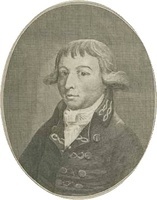 In 1789 he met with both the hydrographer Alexander Dalrymple and Evan Nepean, an influential government official, and in July he urged on the latter Dalrymple’s plan for a settlement on the northwest coast in order to prevent the Russians, Americans, or Spaniards from establishing themselves there. 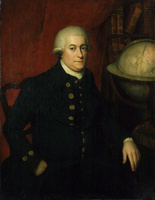 Dixon was afraid that if the government did nothing the coast and its trade would be lost to Britain, “and in consequence of that Loss the Traders both from Hudson’s Bay and Canada will find themselves in a bad neighbourhood.” In October he wrote Banks regarding the expedition being outfitted under the command of Captain Henry Roberts and George Vancouver, offering suggestions about the type of vessels that should be used and the best place to establish a settlement on the northwest coast. The opinions of Christopher Middleton* and Cook to the contrary, Dalrymple still believed in the existence of a northwest passage, and he persuaded the Hudson’s Bay Company to explore once more the west coast of Hudson Bay. In May 1790 the company entrusted the expedition to Charles Duncan. Dixon, who was to accompany him, was instructed to take the expedition inland from the Dubawnt and Yathkyed lakes (N.W.T.) to the Pacific by way of Great Slave Lake. For some reason Dixon’s part of the journey was subsequently cancelled, and he did not accompany Duncan. Dixon had published A voyage round the world; but more particularly to the north-west coast of America . . . , in London in 1789. He wrote the introduction and the appendix, but the body of the text consists of a series of letters written by Beresford. When Meares published an account of his voyages of 1788 and 1789, Dixon wrote a pamphlet criticizing its many inaccuracies; there followed a minor pamphlet war between the two men, from which Dixon emerged the victor. It has been suggested that Dixon taught navigation at Gosport and wrote The navigator’s assistant . . . , published in 1791. There are no references to him after that date. A skilled navigator and successful trader, Dixon rose from obscurity to become an important figure in the history of the northwest coast. 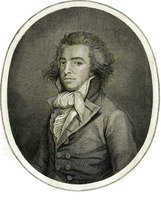 The Banks letters; a calendar of the manuscript correspondence of Sir Joseph Banks . . . , ed. W. R. Dawson (London, 1958). [William Beresford], A voyage round the world; but more particularly to the northwest coast of America . . . , ed. and intro. George Dixon (London, 1789; repr. Amsterdam and New York, 1968). Nathaniel Portlock, A voyage round the world; but more particularly to the north-west coast of America . . . (London, 1789; repr. Amsterdam and New York, 1968). PAC Report, 1889, 29. DNB. Walbran, B.C. coast names. Cook, Flood tide of empire. H. T. Fry, Alexander Dalrymple (1737–1808) and the expansion of British trade (Buffalo, N.Y., and Toronto, 1970). Glyndwr Williams, The British search for the northwest passage in the eighteenth century (London and Toronto, 1962). Barry M. Gough, “DIXON, GEORGE,” in Dictionary of Canadian Biography, vol. 4, University of Toronto/Université Laval, 2003–, accessed April 24, 2019, http://www.biographi.ca/en/bio/dixon_george_1776_91_4E.html.